Only 1d 16h 17m 28s left! Meu nome é Monica, nasci no Brasil em Recife, Pernambuco em 15 de outubro, sou advogada, tenho mestrado e doutorado em psicologia criminal . Sou casada há 15 anos e não tenho filhos. Adoro todas as formas de expressão artística, escrevo poesias desde os 14 anos de idade. Adoro fazer amigos! 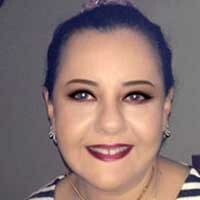 My name is Monica and I was born in Recife, Pernambuco, Brazil, in October 15th. married for the last 15 years and with no children.I am a lower and I have a D.Sc. in Criminal Psychology. I love all forms of artistic expression, writing poetry since I was 14 (all of it in Portuguese, I'm afraid). I have been in love with digital art since 2004. I sincerely thank all my visitors!